When Renato Polselli's Riti, magie nere e segrete orge nel trecento...(1973) arrived on DVD just before Christmas in 1998 it felt like a major event for Euro-cult fans. After all this was a bona-fide lost film, from one of Italy’s most interesting directors, from the golden age of exploitation and horror films. That original Redemption disc, released under the title The Reincarnation of Isabelle, showed that Polselli’s notorious film certainly lived up to the mostly whispered reputation it had garnered over the years. This was indeed one of the most bizarre, haunting and borderline insane films from the seventies and Redemption’s DVD felt like a wonderful Christmas present to many of us. Viewed today Redemptions original DVD of Renato Magie nere e segrete orge nel trecento... has some major issues. The scratchy print is really washed out and the non-anamorphic presentation doesn’t do Polselli’s compositions any real favors. 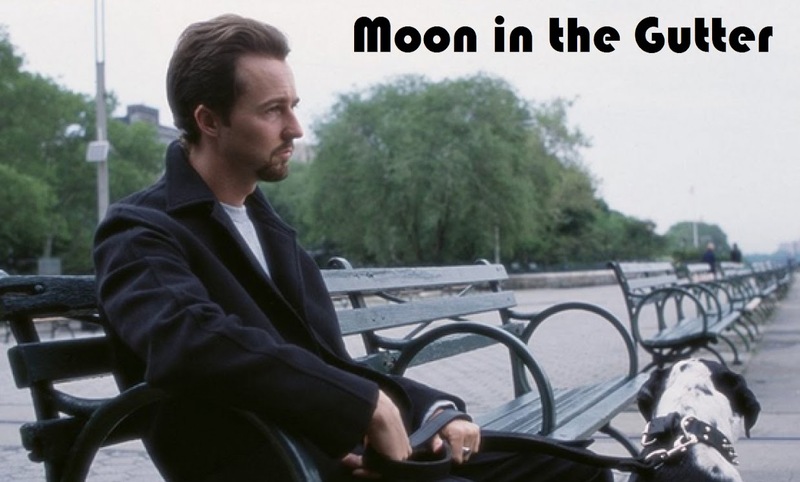 For the late nineties, and considering the rarity of the film, that disc was fine but it has been in long need of an overall and now, nearly fifteen years later, we finally have one. Magie nere e segrete orge nel trecento... is being unleashed again from Redemption (as part of their new Kino Lorber partnership) on DVD and Blu-ray as Black Magic Rites and the new transfer is a vast improvement in every way on the old version (although it is just as slim in the extras department with only the original trailer as the film specific supplement). Finally anamorphic with a cleaned up print, we can now watch Polselli’s pulverizing masterpiece the way it was originally meant to be seen. Outside of some minor speckling and very slight print damage, Polselli’s film now looks absolutely gorgeous and Ugo Brunelli’s vibrant color photography finally pops the way it should. Black Magic Rites is one of 2012’s key releases and if you are a Euro-cult film fan who hasn’t made the leap to Blu-ray then now is the time, as this disc is a beauty. I have been really curious to watch Black Magic Rites again as it has been several years since I last revisited it. 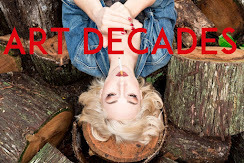 When I first saw the film back in 1998 it felt like the work of a possible madman with its uber-bizarre editing style, constant tonal changes and hyper-stylized presentation. I feel differently about the film now and appreciate it as a much more cohesive and deliberate piece of filmmaking. Polselli created something entirely unique back in 1973 and Black Magic Rites is one of just a handful of films that truly captures a nightmarish dream state, achieved mostly with Polselli’s wildly inventive editing that feels jarring but is clearly purposeful. Compare Black Magic Rites to a more recent film like Christopher Nolan’s Inception and tell me which work really accurately captures what a fevered dream feels like. Polselli had just turned fifty years old when he shot and edited Black Magic Rites. The film, which Polselli also penned the screenplay for, would turn out to be the defining work in his varied career that saw him working in a number of genres. Polselli’s willingness to not pigeonhole himself as, let’s say just a horror filmmaker, serves Black Magic Rites incredibly well as the touches of comedic absurdity and steamy sexuality finally just make it feel all the more surreal and strange. To my eyes Black Magic Rites is a much more accomplished work than more well-known Polselli films like The Vampire and the Ballerina and Delirium, and it stands with the best and most creative Italian films of the seventies. Certainly one of the most enduring aspects of Black Magic Rites is its impressive cast, made up of some of the most memorable faces of the period. One can’t talk about the film without celebrating the gorgeous Rita Calderoni, who appears as both the title character Isabelle and her descendant Laureen. Calderoni was one of the most intriguing actresses of the period and she turns in a brave and fascinating duel performance here for Polselli. Also worth noting are the haunting Christa Barrymore, who turns in the most poetic performance in the film, and Stefania Fassion, who gives the most ferociously funny. Delirium star Mickey Hargitay also appears but his work here isn’t as memorable as it was in that earlier Polselli film. 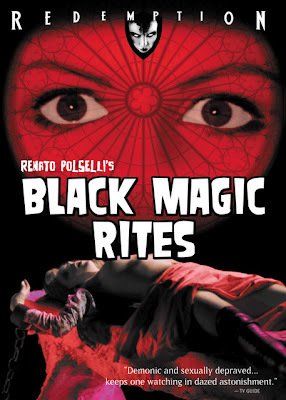 There is much to recommend about Black Magic Rites, although Polselli’s willingness to turn everything up to 11 will no doubt turn some viewers off, but perhaps what impressed me most on this new disc was the way Polselli’s editing scheme perfectly plays off the wild percussive electronic score by Romolo Forlai and Gianfranco Reverberi. Black Magic Rites will feel very random, and near out of control, on initial viewings but this is in actuality a wonderfully thought-out and planned work. I have never been more floored by the film than I was on this new Blu-ray and I highly, highly recommend it.